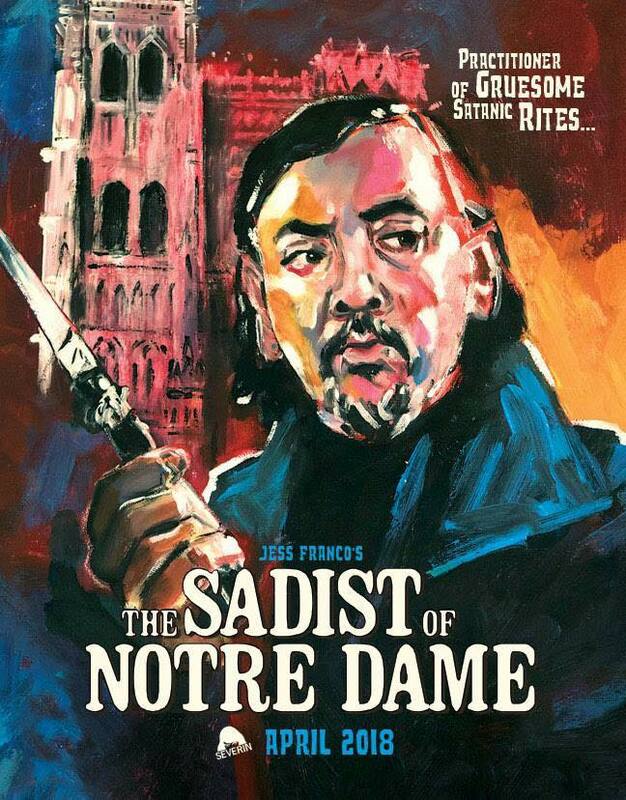 If you are a serious fan of the films of Jess Franco, or a zombie movie completest, it's likely you have seen the director's 1981 Nazi zombie effort, OASIS OF THE ZOMBIES/L'ABIME DES MORTS-VIVANTS, which is out on Blu-ray from REDEMPTION FILMS. It is less likely you have seen the notably superior Spanish version of the same film, LA TUMBA DE LOS MUERTOS VIVIENTES. Robert Blabert (Manuel Gelinl) and his friends use their holidays to find a treasure left by Rommel's soldiers in North Africa, and to investigate the circumstances surrounding the death of Robert's father. On their way, they run into a man who is also looking for the treasure, was digging around for the treasure and awakened its guards, a group of flesh-eating zombies. 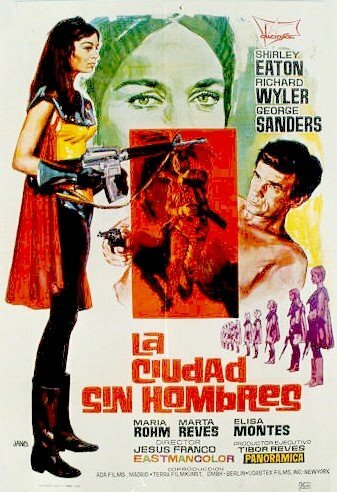 This is a long-lost Spanish-language Franco movie, parts of which were used to create the Nazi-zombie quickie known as OASIS OF THE ZOMBIES (a.k.a. BLOODUCKING NAZI ZOMBIES). OASIS was completed and released by Eurocine magnate Marius Lesoeur (under the name A. M. Frank). 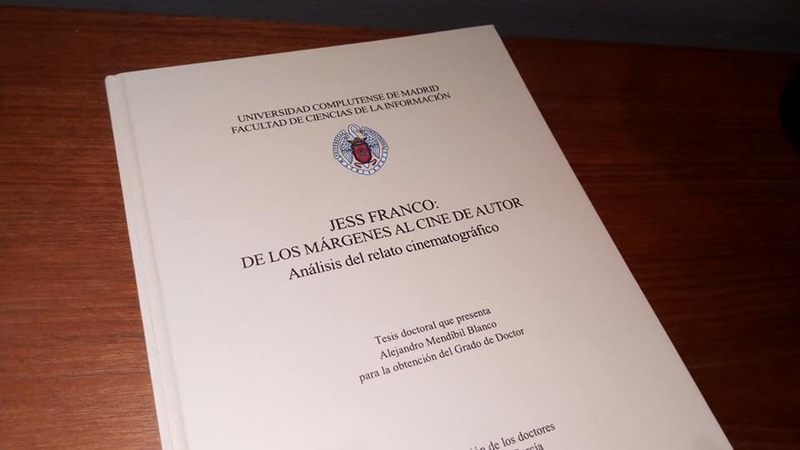 Franco's version recently resurfaced on Spanish television. Though LA TUMBA DE LOS MUERTOS VIVIENTS is a completely different film from OASIS OF THE ZOMBIES, it uses the same basic story line. Adding to the confusion, Franco's original production company shot French and Spanish versions simultaneously. Pieces of the French version were subsequently used in other Eurocine movies, of which OASIS OF THE ZOMBIES is the most well-known. LA TUMBA incorporates World War II battle scenes from some Italian productions, of which only Alfredo Rizzo's I GIARDINI DEl DIAVOLO (1971) has been identified. The checkered history of LA TUMBA is more interesting that the movie itself, although it is obviously an essential Franco collector's item. It looks and plays a lot better than OASIS OF THE ZOMBIES, mostly because Juan Soler Cozar's atmospheric cinematography has been retained. The actors are more interesting, too -- namely Eduardo Fajardo, an experienced character actor who appeared in many Italian westerns and thrillers (DJANGO, etc), and Lina Romay, looking as sensual as ever and eventually falling victim to the cannibal Nazis. editing, help this version play a lot smoother than the relentlessly schlocky OASIS. Also interesting are the effectively tilted camera angles used during the zombie attacks (which are not used in the OASIS version), as well as gorgeous long shots of the Canary Island desert locations. Best of all is the delirious, eerie score by Pablo Villa (Daniel White and Jess Franco), which is absent from the other versions and adds a sense of menace which is so obviously lacking in OASIS OF THE ZOMBIES. Daniel White is credited with the score for OASIS, although with different, more conventional cues. An all region HD release of LA TUMBA.... would be welcome. It should be noted that Franco also worked on another Nazi zombie project for Eurocine, ZOMBIE LAKE (1980). The scenario of that film has some interesting parallels with Franco's 1964 EL SECRETO DEL DR. ORLOFF. 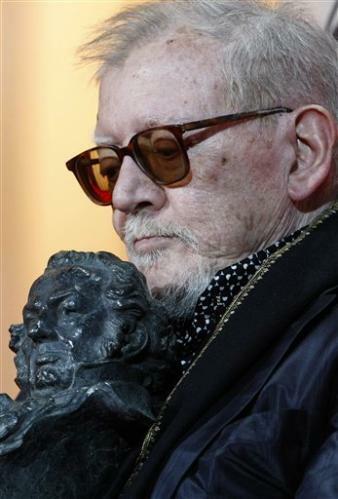 But Franco dropped out of that project and Jean Rollin ended up handling the direction. Franco remains uncredited on the finished film.